Charles J. Baker, 72, of Pana passed away Friday, February 1, 2019 in his home. He was born February 17, 1946 in Shelby County, IL to Charles & Dolly (Ethridge) Baker. Charles lived in the Pana & Tower Hill areas his entire life and was a graduate of Tower Hill High School. 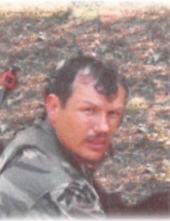 He was a retired general contractor from the U.S. Army after 27 years and continued working as a contractor in his civilian life. Charles was a charter member of the Pana Eagles Club and enjoyed working, woodworking, watching wresting and especially loved his grandson. Charles married Helen Stelzriede on May 10, 1975 in Tower Hill and she survives in Pana, IL, along with his mother, Dolly Pizzo; sons: Tracy Durbin, Pana, IL & Charles Baker (Jenny Neville), Taylorville, IL; grandson, Charles “Junior” Baker and sister, Margaret Harmston, Pana, IL. He was preceded in death by his father; son, Steve Durbin and siblings: Donnie Baker, Johnny Baker, Jesse Baker & Virginia Northcraft. A graveside inurnment will be held on Tuesday, February 12, 2019 at 11:00 a.m. in Camp Butler National Cemetery, Springfield. Memorials in Charles’ honor may be made to the family. "Email Address" would like to share the life celebration of Charles J. Baker. Click on the "link" to go to share a favorite memory or leave a condolence message for the family.